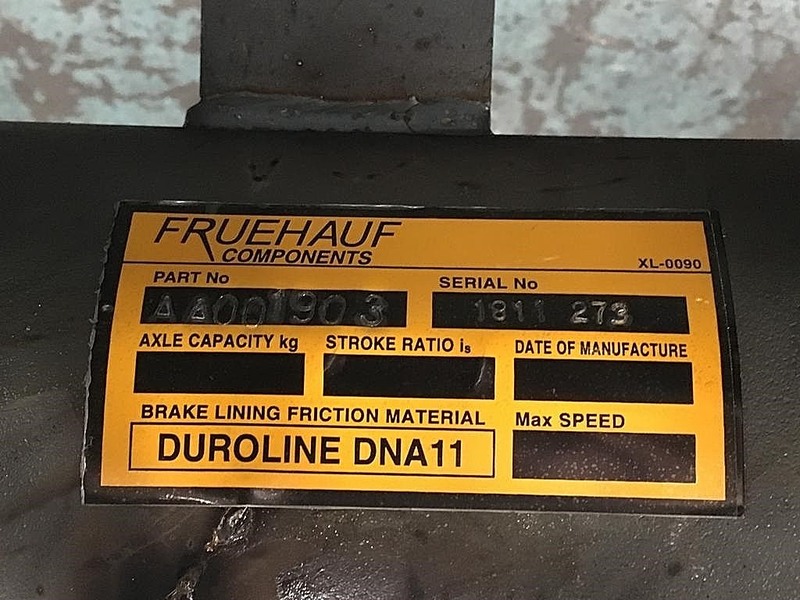 Transportation Components is proud of the fact that Duroline is now imprinted on the axle data plate fitted to Henred Fruehauf axles to inform the user what lining to use to maintain the designed braking performance. Transportation Components, which distributes Original Equipment Manufacturer (OEM) components to the aftermarket, has been appointed as the supplier of Duroline brake linings to Henred Fruehauf, the largest trailer and allied products manufacturer in South Africa. Henred Fruehauf is using the Duroline brake linings in the foundation brakes of the trailers they manufacture. This move signals a break-through for Transportation Components in that it means they are not only supplying to the aftermarket – but to an OEM as well. “This really demonstrates recognition for our quality products and excellent service and places us in a different league, completing the circle of quality, safety and consistency from our perspective,” says Dave Jenkins, managing director of Transportation Components. Duroline is recognised worldwide as one of the largest manufacturers of friction material and uses state-of-the-art technology to produce brake linings for medium and heavy duty vehicles. A Duroline brake shoe fitted to a foundation brake on the Henred Fruehauf production line. “The return of Henred Fruehauf to our customer base is not only an endorsement for our principal Duroline but also for Transportation Components’ commitment to South Africa’s heavy transportation sector,” says Patrick Bruinette, national sales manager of Transportation Components. 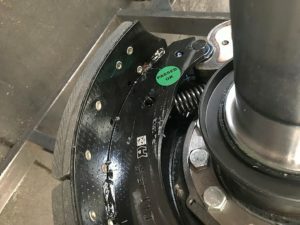 He adds that the braking system is one of the most critical parts of any truck and trailer combination because the sheer weight of a truck and trailer magnifies the consequences of an accident. “This is why heavy vehicle accidents are often blamed on a faulty braking system,” says Bruinette. Transportation Components has had samples of its brake lining friction material tested to determine a baseline for the durability of various friction materials. According to Bruinette, the OEM Duroline brake linings were proven to be from 30 to 50 percent more durable.